This top-of-the-line Full HD LCD panel, features modern IPS display technology with LED backlighting and very appealing image parameters. The IPS image guarantees a truly credible colour output in a wide range of shades due to its extra-high contrast ratio. In addition, the image will be sharp even with fast-moving images with a response of just 6ms. It is therefore optimal for photo editing, film editing as well as for extremely demanding multimedia users. All this makes for full enjoyment from any angle with the full 178° viewing angle ensuring you can view the display without undesirable colour changes or darkness. So, you can conveniently look at a 60cm diagonal display from any position. D-Sub (VGA) and digital DVI-D are available to connect the video signal. 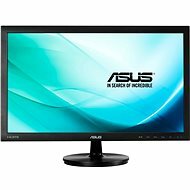 For shipping to other EU countries visit this page 24" Acer G246HYLbd. 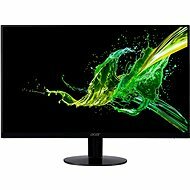 Für Versand nach Deutschland, besuchen Sie bitte 24" Acer G246HYLbd. Chcete doručit zboží do Česka? Prohlédněte si 24" Acer G246HYLbd . Chcete doručiť tovar na Slovensko? Prezrite si 24" Acer G246HYLbd. Für Versand nach Österreich, besuchen Sie bitte 24" Acer G246HYLbd. Magyarországra történő kiszállításért tekintse meg ezt a termékoldalt: 24" Acer G246HYLbd.